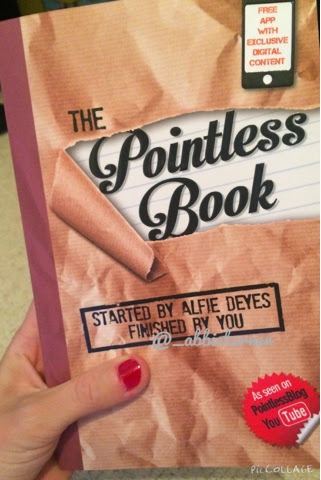 the pointless book meet up! Soooo this is something amazing that happened that hasn't quite sunk in yet and still needs to and I can't get over it...so I'm just going to start it! 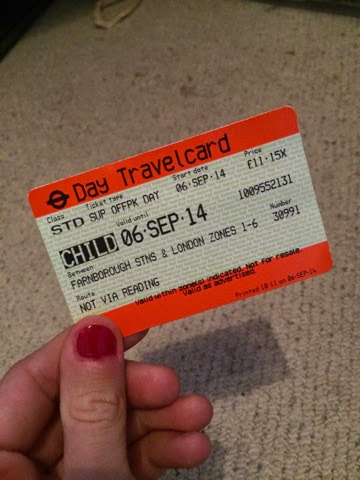 On Saturday the 6th of September I got up super early( mainly because I couldn't sleep) and caught the train to London. 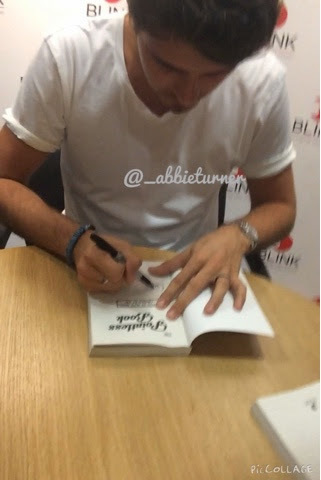 Once in London we got the underground to piccadily and made our way over to waterstones. 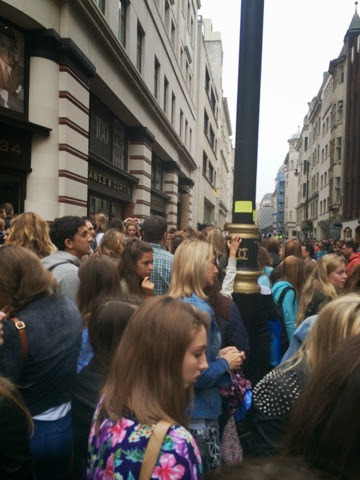 When we got there the queue was HUGEE and much bigger than we anticipated! We joined the queue and started to wait! After queueing for one hour we got told the first 800 people where only aloud in and the rest of us where told to leave.... however myself and Gremlin (MY BESTFRIENDS ONLINE NAME) knew better and waited it out until we got to the cut off point. Alfie then drove past with zoe and a lot of people left the queue meaning we could move forward because we weren't silly enough to bang on the windows and stop them getting past. By this time there was still a lot of people in front of us and we where starting to think that we'd never get in. However the next thing we knew was Dom had arrived and most of the people ran from the queue infront of us and we used this chance to move into the gap. Once inside we had to queue for another hour! We had already queued for 6 hours and we final where getting closer! After purchasing the book ( I bought it there because in the terms and conditions they said that if you bought it their there is more chance of meeting alfie than bringing a book already, however on the day this rule clearly was ignored:( ) Then after queuing for a long time, and making new friends we where nearly there! 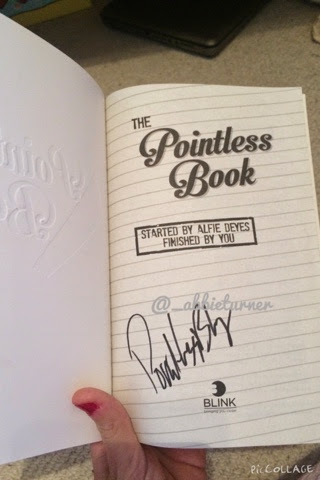 Once alfie signed our books Gremlin (HER ONLINE NAME) asked him for a high five and he replied with "my hands are a bit sweaty though!" so she high fives him, then I asked for a high five and he goes, "you can but excuse my sweaty hands!" Helllooooo my chubby squishy hamesters! This week I thought why not talk about one of my favourite things! No it's not something you can copy or have, because it is a ball of fur. Yes a ball of fluffy cuteness! Since then I have always wanted to get a cat of my own... 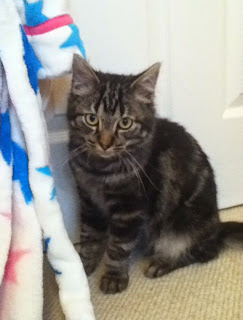 So in about 2010 I went with my mum and choose a kitten. His name is Monty because he has like an M in his fur on his head and so I felt it was appropriate, unlike my brother who at the time was obsessed with Ben 10 and wanted to call him Ben 10!? 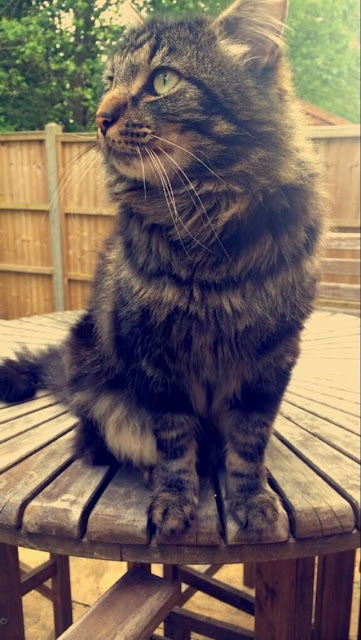 Monty went from being an indoors cat that liked snuggles and sharing my bed, to an adventurous outdoors cat that loved catching mice and frogs! 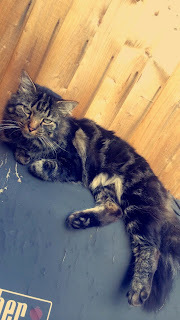 However recently he's becoming more of an indoors cat because he now love's sleeping on my bed all the time and leaving a furry mess! Thank you for reading this post, I apologise for not posting much but I've been flying and driving all over the world! And there is more to come on that! So keep your eyes open for them! psttt, secretly I think Monty thinks he's a model! 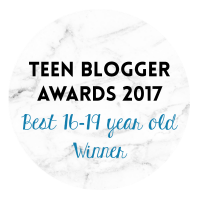 I haven't posted on my blog in a while did to gcse results and summer holidays! Yet your probably thinking well if you where off school for a long break why didn't you post?! Well I was on holiday for the whole of it and only slept in my own bed for 2 nights of the full six weeks! I visited Cornwall and then Spain twice, so basically I lived out a suit case! But now that school has started I can post more frequently and give you all something to read! So I will be posting every Wednesday like I used to from now on! However my first post won't be related to summer because I wrote about something I love and something that is amazing so that will be up instead if that's okay! My favourite photo from my second Spain holiday!